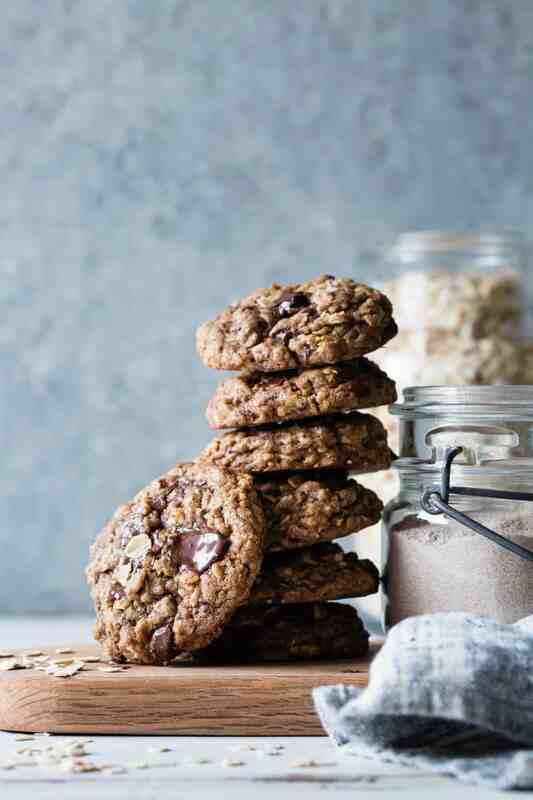 Malty teff and hearty oats add toothsome texture and flavor to these chunky chocolate chip cookies. 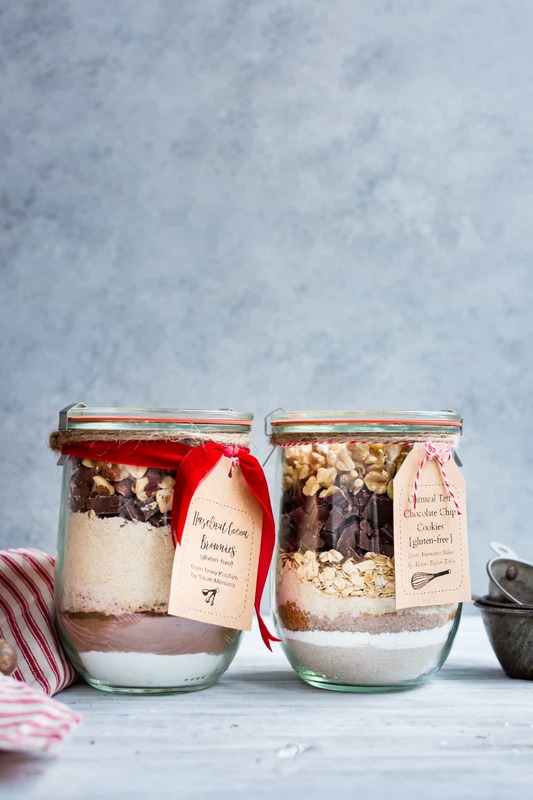 Layer the ingredients in a jar for a pretty gift. Drop cookies can be persnickety beasts, objecting to slight changes in temperature/moisture/Mercury in retrograde/bad vibes, either spreading into flat pancakes or staying in tight little lumps upon hitting the heat of the oven. This humble recipe was the one that took the most tries to get right. I tested batch after batch, making tiny adjustments, until I was finally satisfied. 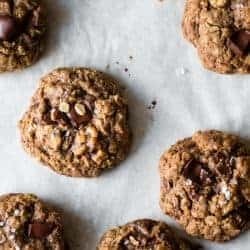 The originals are laced with a whiff of fresh nutmeg and studded with plump, boozy currants, all bound up in an earthy base of teff flour, oats, brown sugar, and lots and lots of butter. With each failed batch, I’d console myself with a warmly spiced (albeit overly flat/thick/sweet/salty) cookie and start over again. When the manuscript was handed in (and I caught up on sleep enough for my synapses to start firing again), I suddenly realized my glaring omission. It was too late to develop and shoot an entirely new recipe, so, on a whim, I swapped out the nutmeg and currants for a mess of chopped bittersweet chocolate, in the hopes that I could sneak in just one more variation, but sure that the slight change of ingredients would wreck havoc on this most finicky of recipes. To my surprise and delight, the recipe was far sturdier than expected. 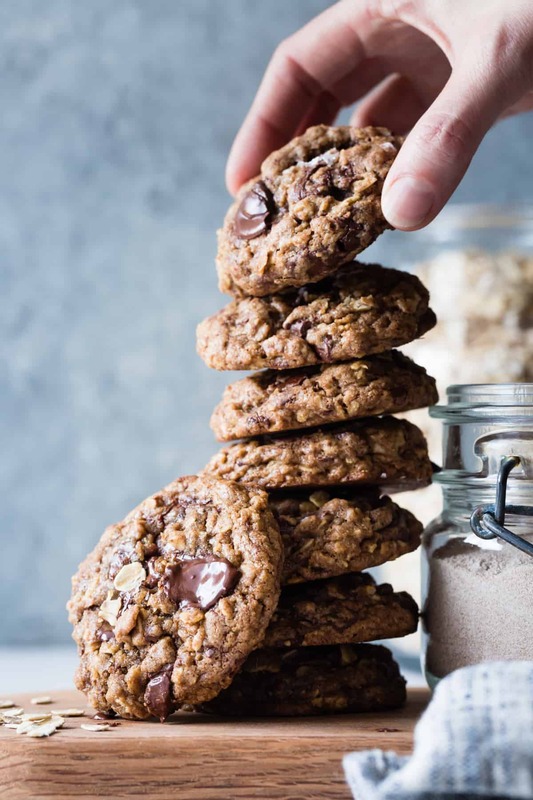 The cookies baked up beautifully, spreading into thick, chewy, chunky cookies laced with the earthy tastes of teff, oat, molasses, dark chocolate, and toasted nuts. Tessa made them with coconut sugar, and Traci shared the originals with step-by-step photos. 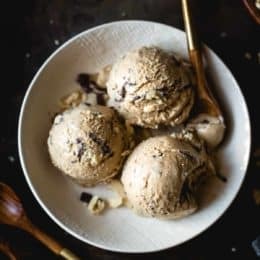 This is probably the recipe from the book I make most often when I’m craving something quick and sweet late at night or on a rainy day. Clearly Jay isn’t the only cookie monster in the house. 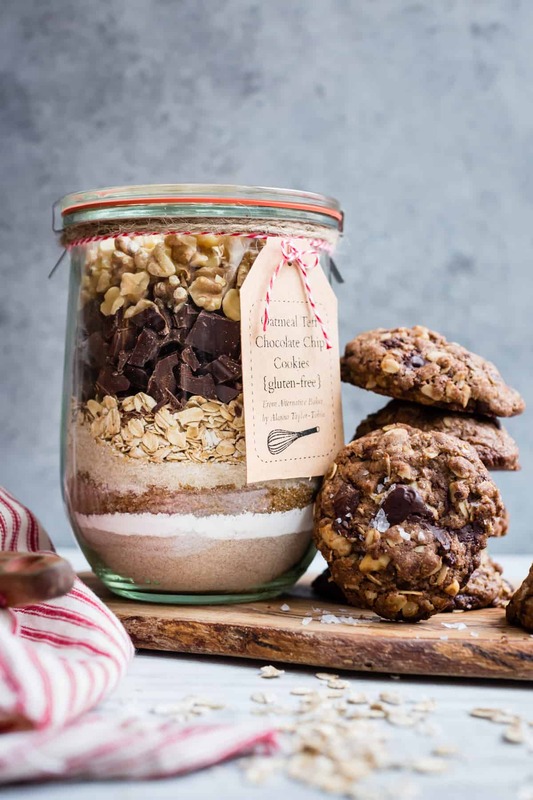 When Sarah and I were brainstorming ideas for our DIY demo at our new (ginormous) Anthropologie later this week, I thought these cookies could make a good cookie mix gift in a jar. 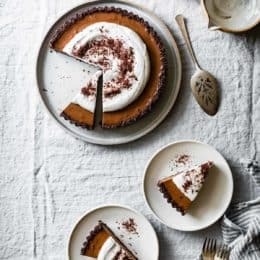 The recipe would need slight alterations – instead of adding the hot melted butter to the sugar, then stirring in the egg, then the flours, the egg and butter would have to be added directly to the dry ingredients. I expected disastrous results, but again met with cookie success. Sarah’s sharing her recipe today, too. 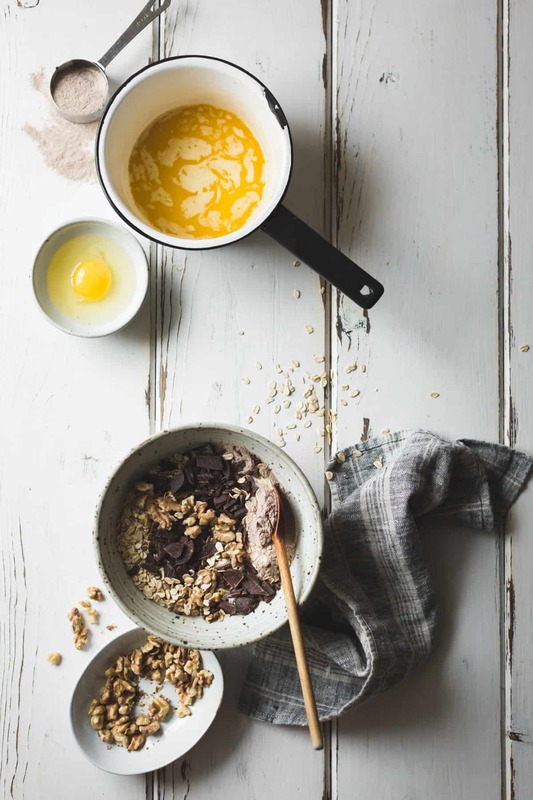 It’s equally loaded with chocolate, alternative flours, and nuts and is TO DIE FOR. Get her recipe over here. If you’re new to teff, this recipe is a perfect introduction. The tiny grain is most commonly used in Ethiopian injera, but the flour has a nutty flavor that reminds me of malted chocolate milk, and it pairs beautifully with other similar flavors. 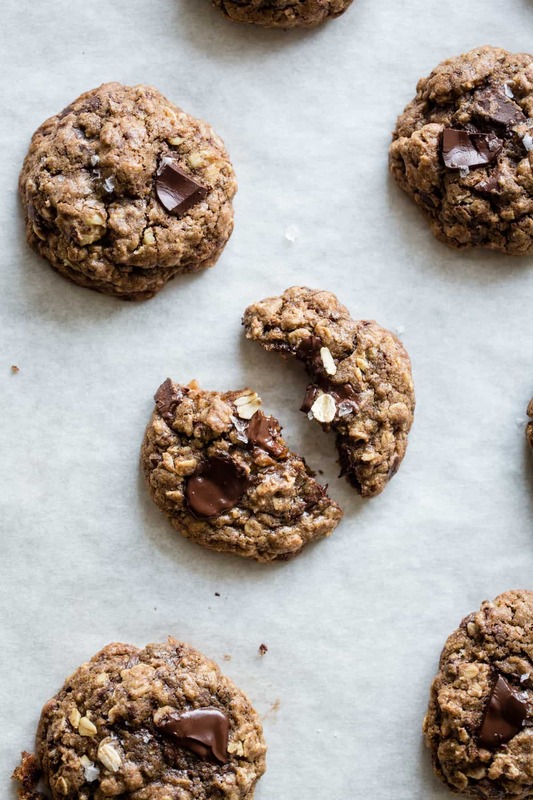 Here, brown sugar, chocolate and oats all work together to show off its exceptional flavor. I’ll be baking up a storm around the Bay Area this fall, including at the San Francisco Ferry Building this Sunday 11/13 with Les Dames d’Escoffier and an all-star lineup (including Dorie Greenspan!!!) Stop by to get your book signed and sample some goodies. Get the full details here. Adapted from Alternative Baker. Take care to underbake these cookies as per the instructions. If you have the time, cover the dough and let stand 1-2 hours at room temperature before baking. Or scoop the dough into balls and chill airtight until ready to bake, up to 1 week. 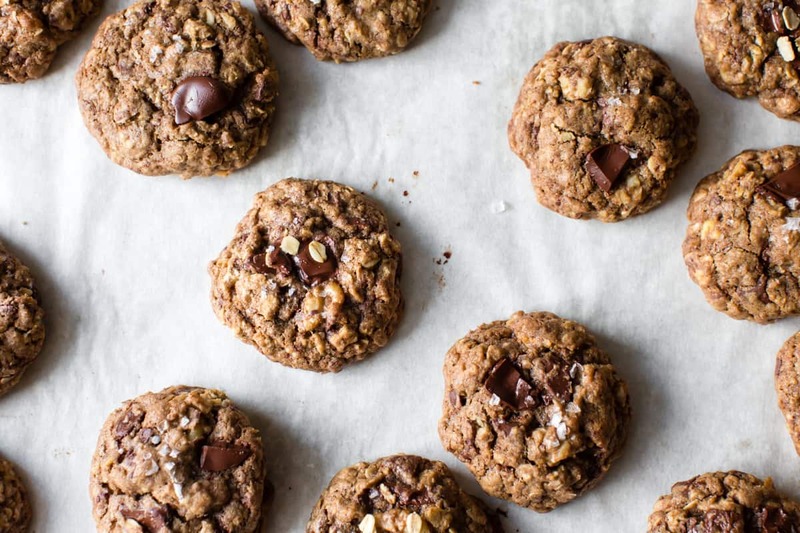 For extra dense, chewy cookies, give the pan a few firm raps on the counter when you pull them from the oven. And be sure to have a glass of milk or unsweetened almond milk on hand. In a small bowl, sift together the teff flour, salt, and baking soda. Pour into the jar to form the bottom layer, rapping the jar on the counter a few times to flatten the flour into an even layer. Spoon the tapioca flour gently over the teff flour to create the second layer, rapping the jar on the counter again. Spoon in the brown sugar, packing it down gently to form a flat layer. 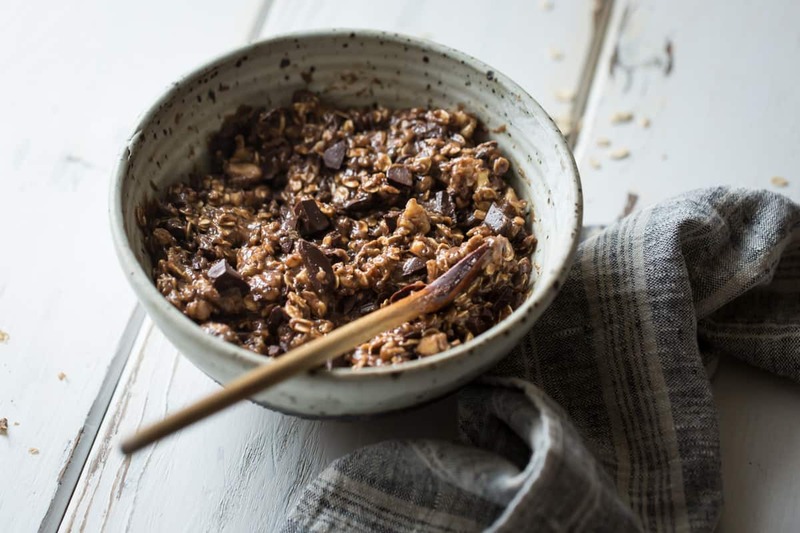 Repeat with the granulated sugar, oats, chocolate, and nuts. Seal and attach the following directions to the jar. Pour contents of jar into large bowl, breaking up any clumps. Stir in 8 tablespoons melted, cooled unsalted butter, 1 large egg, and 1 teaspoon vanilla. Scoop 2-3 tablespoon balls onto 2 lined baking sheets, sprinkle with flaky salt, and bake at 350ºF until edges are set and tops are soft and puffed, 10-15 minutes. These little sweeties are so delicious looking!!! I could probably eat them all! Did you ever consider visiting Canada? How about Anthropology in Toronto? 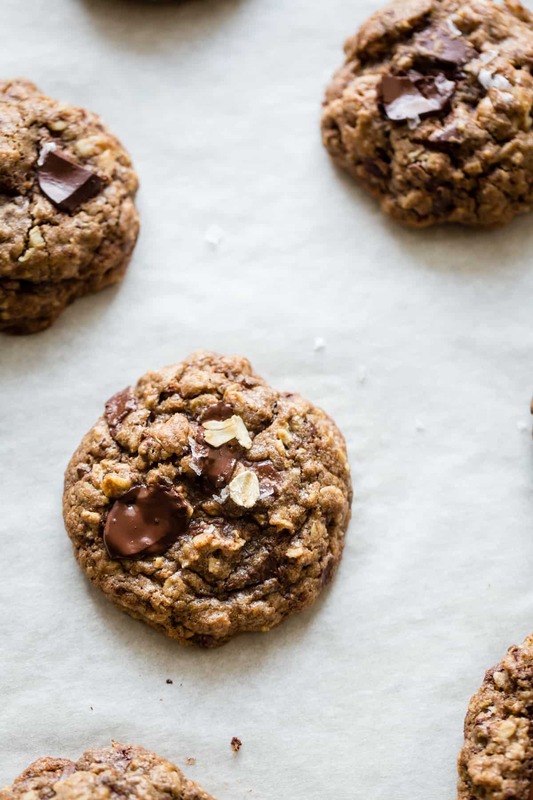 We are major oatmeal chocolate chip cookie fans in my house, so I’m dying to make this asap! 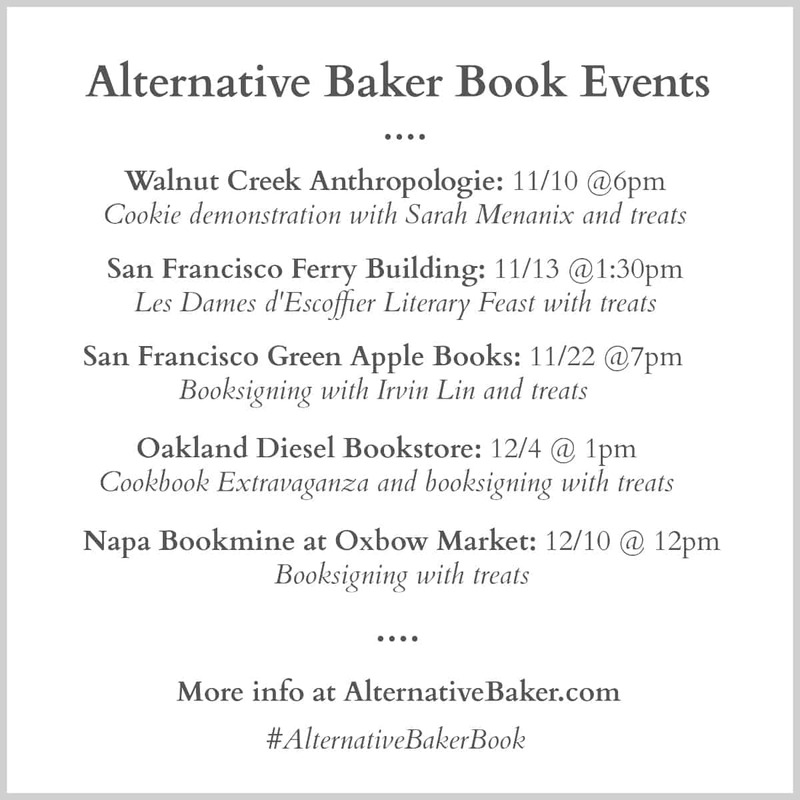 I may even need to stay up a little late tonight and bake cookies… Best of luck to you and Sarah at the Anthro event, that sounds like it will be so adorable and so fun!! Okay… buying teff flour asap. The link to Sarah’s cookies isn’t workin’. And I need to buy your book. Okay…I need to by teff flour asap. The link to Sarah’s cookies isn’t workin’? And I need to buy your book. Can cornstarch be substituted for the tapioca starch? I’m sure tapioca is better, but in a pinch will cornstarch compromise the end result? Thanks. 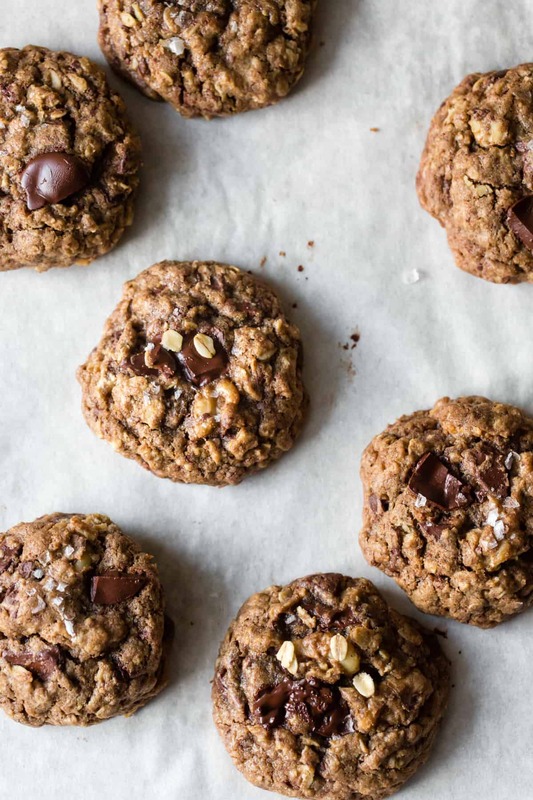 There is no such thing as too many chocolate chip cookie recipes :) I love this hearty, tasty-flour version! And all those chocolate chunks ~swoon~. 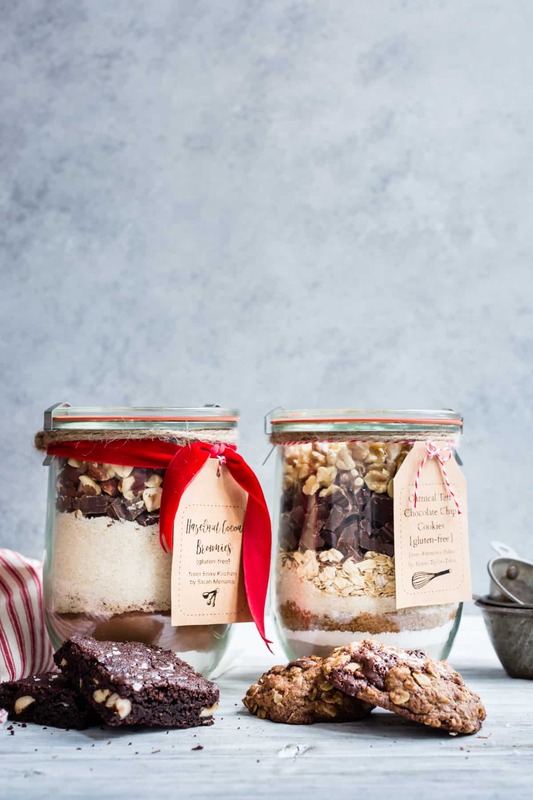 I can’t wait to try these, and to give jars of mix to my gf friends for Christmas! Good luck with the Anthro demo! Alanna, it was such a pleasure to meet you tonight. You are such a kind and gentle person. I love your cookbook! Every recipe I have made has been great (not just great for gluten-free, but great). This is a cookbook for all not just those who are gluten free. Great work. Thank you! 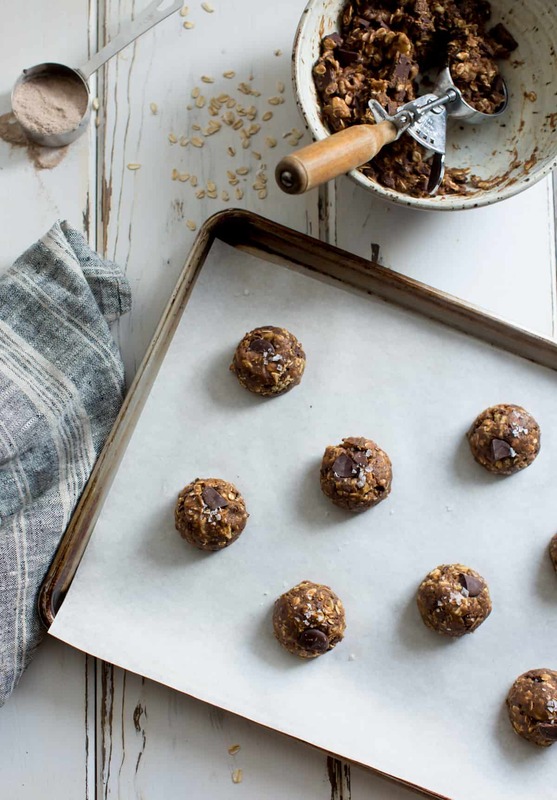 These look great Alanna – I have been looking for a recipe with teff. I heard all about it on a food programme on radio 4 and it sounded really interesting. Now I just have to find some online to buy! Hi Alanna, I love these kinds of cookies (not too sweet and rich). I made your buckwheat gingersnap cats from your book (I have a cat cutter from a Halloween set) to give to my professor (who is not coeliac). They were good and chewy thanks to the mochi flour, actually I wish I had kept some for myself :D . I also made them vegan because I didn’t have butter or eggs: I used 150 gr delicate olive oil and a ‘flax egg’. They came out fine, I think the olive oil added something (of course butter is fine too…). I wish mochi flour was certified gluten free in Italy, it’s sad that of all people my coeliac friend can’t enjoy them safely. Do you know if you can grind sweet rice in a coffee blender? It would help a lot. These look so tasty… your photos are just mouthwatering! 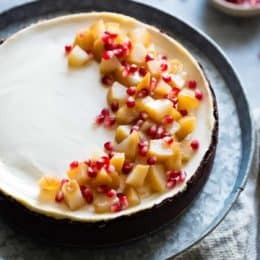 I was browsing through your beautiful cookbook and saw these absolutely gorgeous cheesecakes made in Weck jars, however, I searched everywhere for them, and cannot find the ones with the dimensions you recommended. Yours are 6 ounces with a diameter larger than 3 inches, I can only find slightly smaller ones, 5.6 inches in capacity. Do you have a source for those jars, by any chance? I can imagine how you felt. Don’t let that review bother you, in fact I found your book spectacular – I have no issues with any type of food, but love to expand my horizons. I am now set on the mesquite flour – wow! This are excellent cookies. Thank you for the wonderful recipe. what can be substituted for tapioca flour? really want to make them, but don’t have access to tapioca. I made these after seeing this article. They are absolutely fabulous. 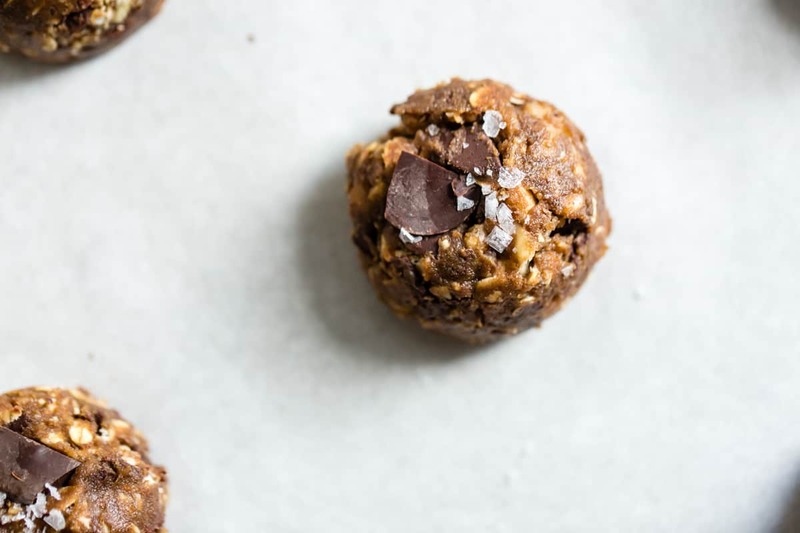 They taste better than store bought and are way healthier than conventional homemade. I’ve made them a few times now, also with slight modifications to the recipe. You really can modify this pretty easily and still have them taste great. For example, instead of tapioca starch I used ground flax seed. So glad this recipe is out there! 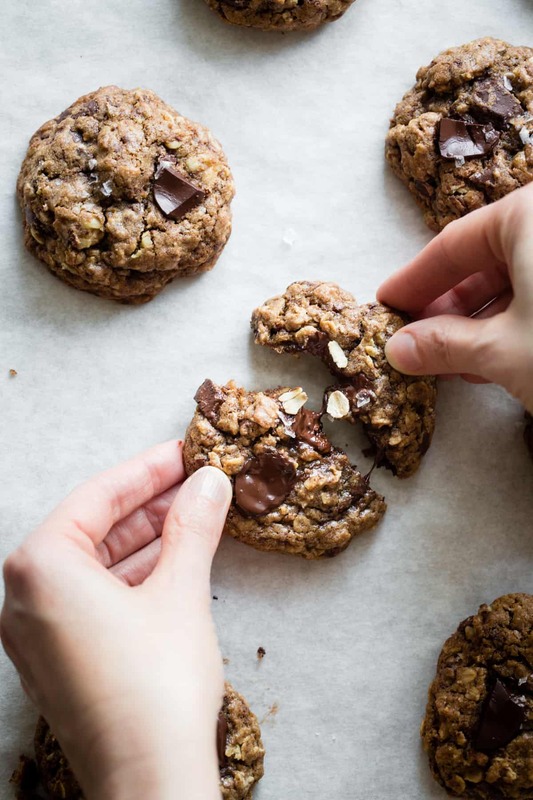 I’m so glad you like these cookies and that you’ve had good success modifying the recipe! Thanks so much for the note! I’m late to the party here. I just made these, and they’re fantastic! I did have to use a substitution for the tapioca flour though, as I couldn’t find any anywhere around here. I used the Pillsbury Best Gluten Free All Purpose Flour Blend. In doing this though, I had to add an extra egg to the mixture. I’ll have to either order the tapioca flour or keep an eye out when I’m out and about to see if I can find any so I can make the recipe more true.